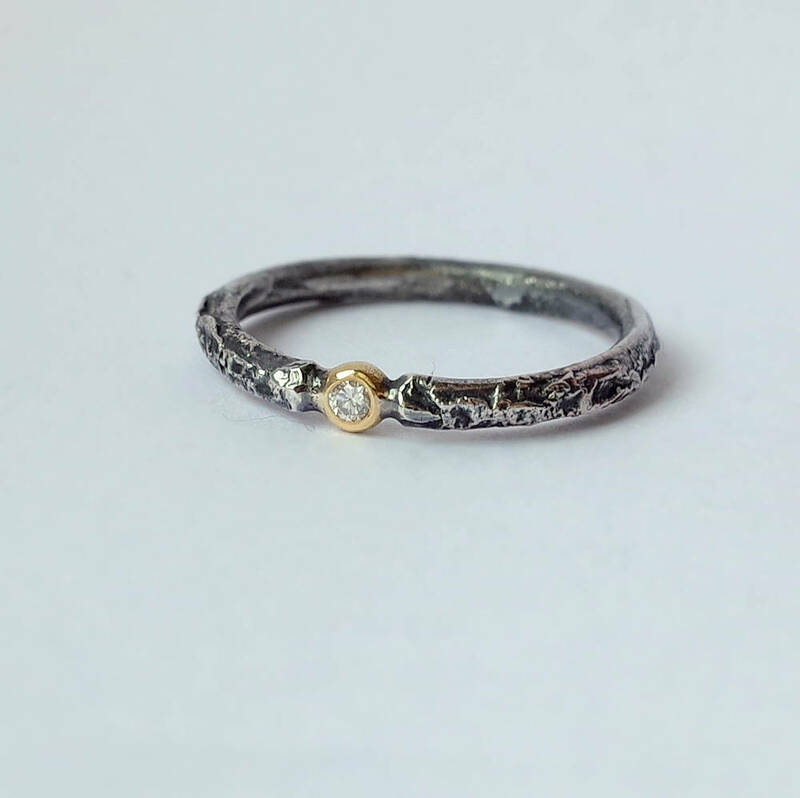 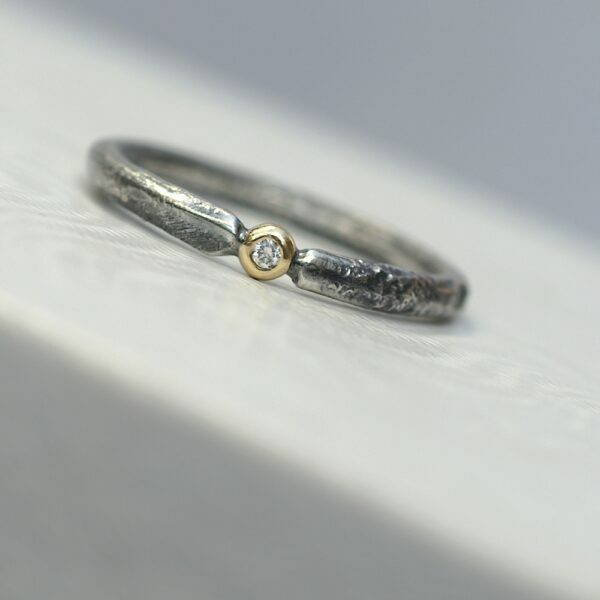 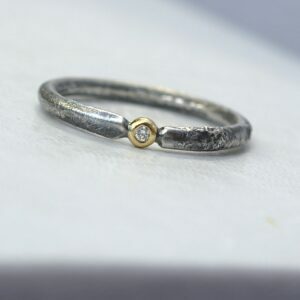 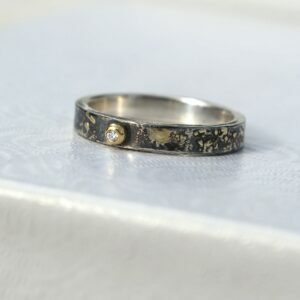 Sterling silver diamond engagement ring with rich rustic texture and 1.5 mm or 2 mm diamond (G/H, SI) set in unusual gold ball setting. Really unique engagement ring or sweet gift. 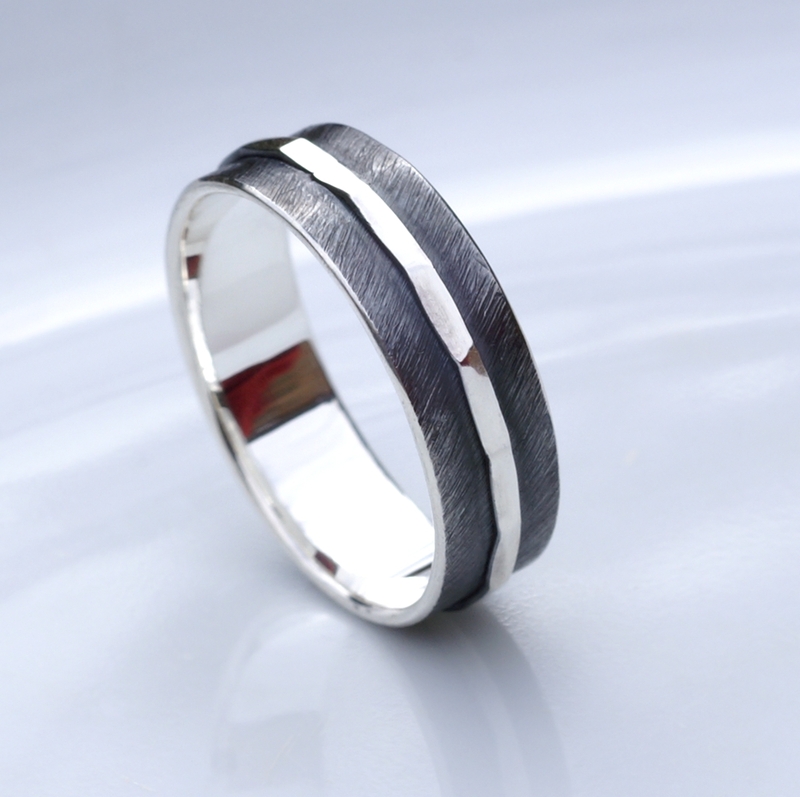 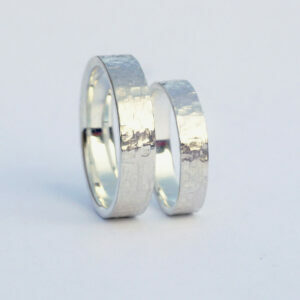 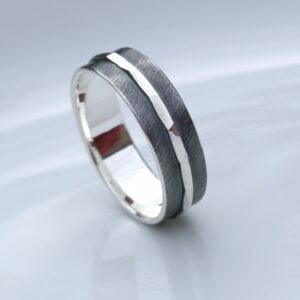 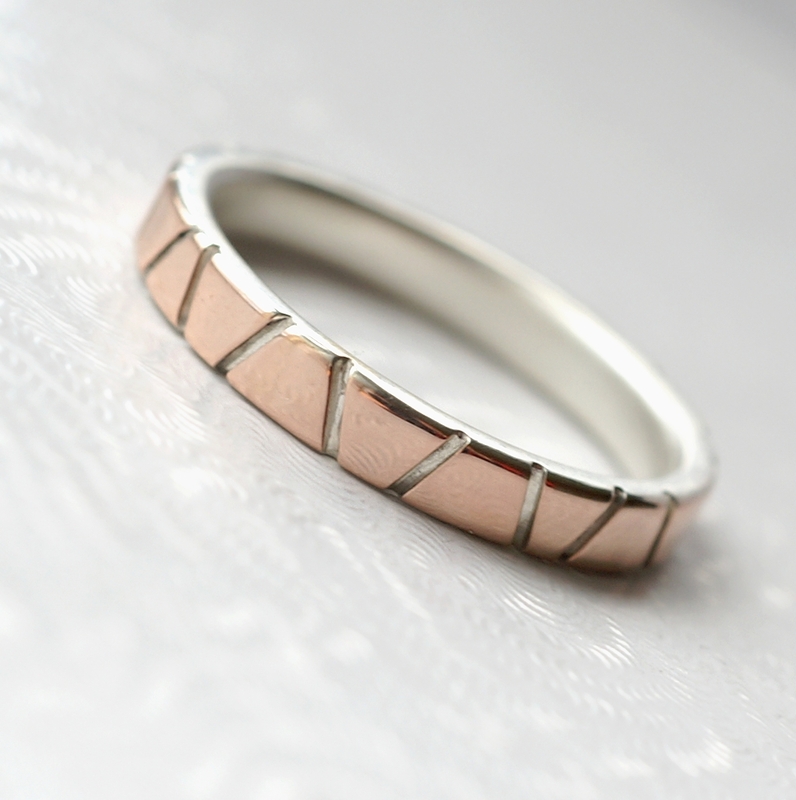 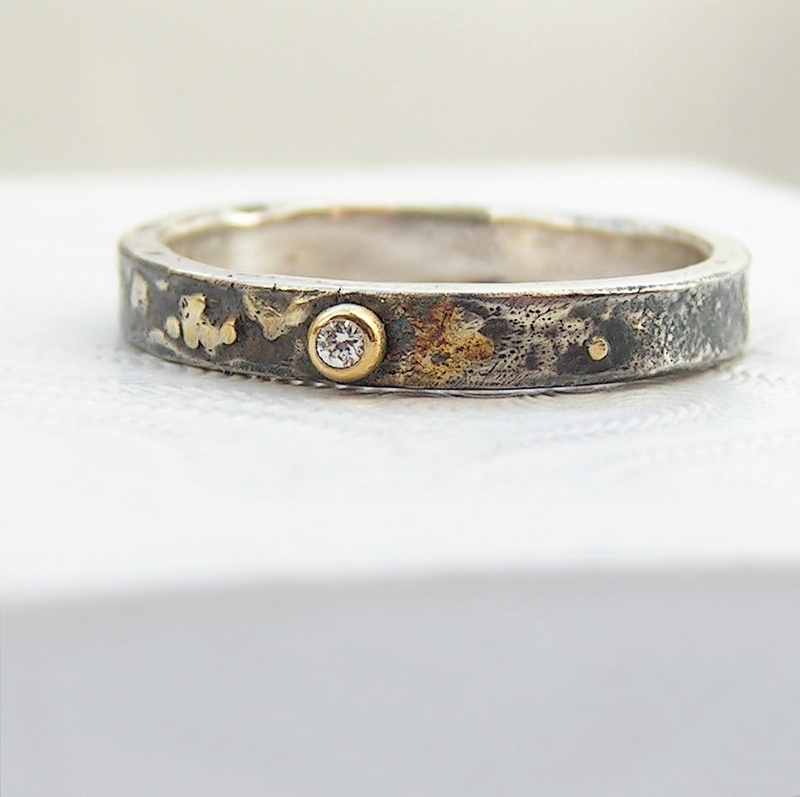 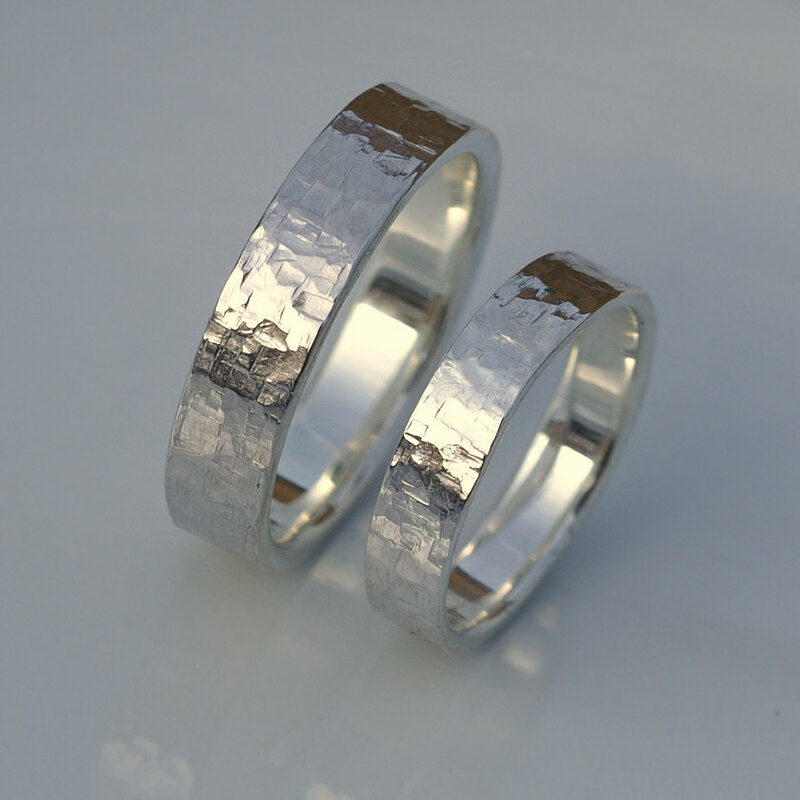 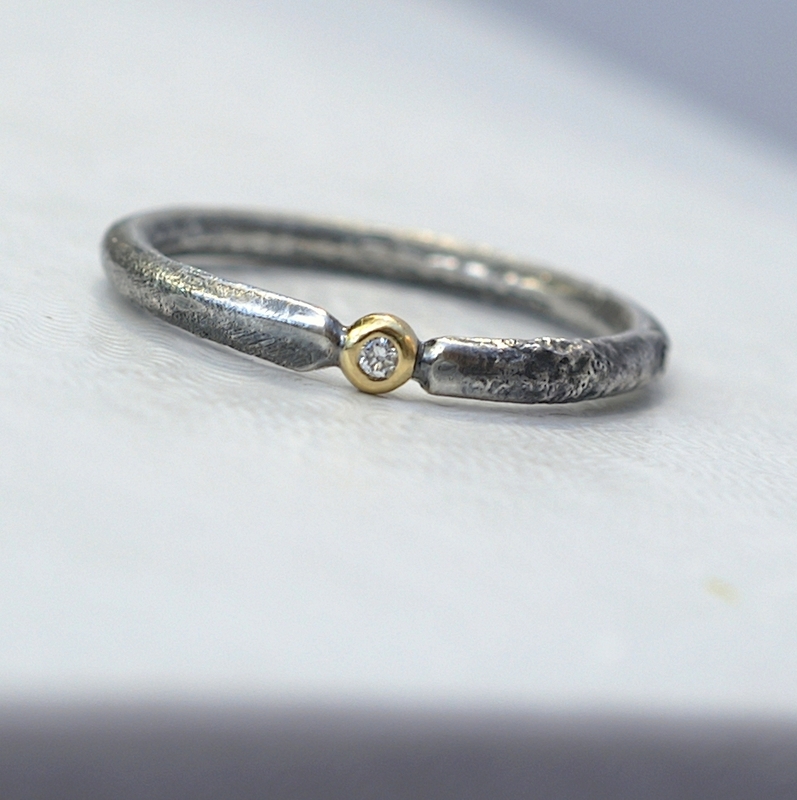 The band is sterling silver textured with reticulation (melting of the surface), round and comfortable, 2mm wide. 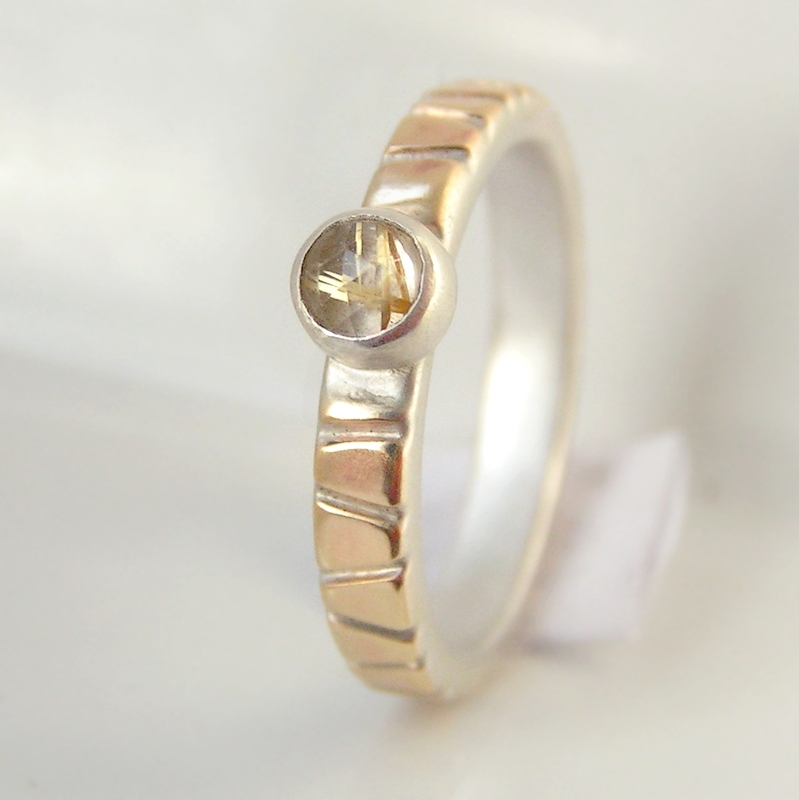 18k yellow gold or 14k rose gold. 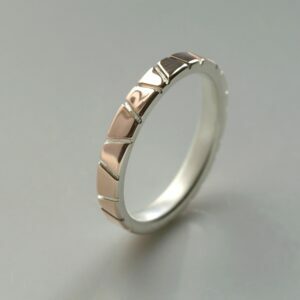 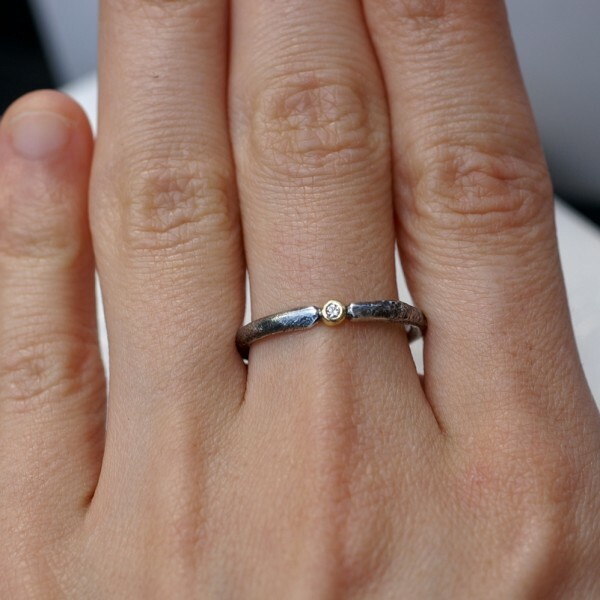 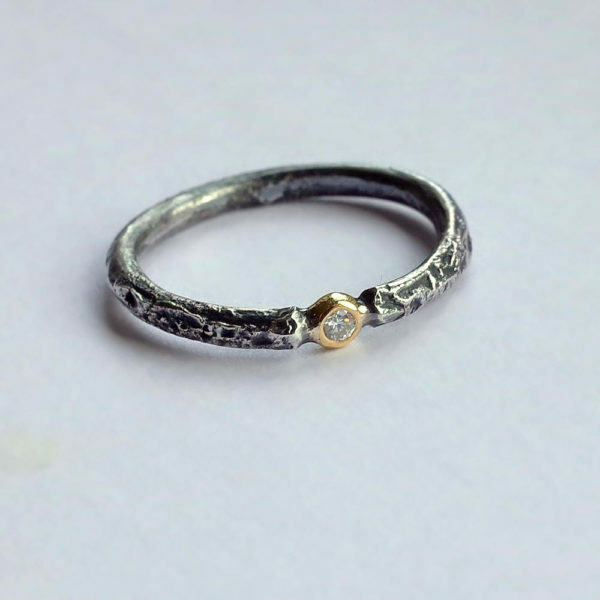 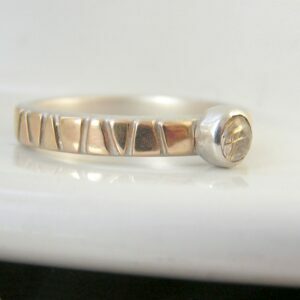 This ring would also make nice stacking ring.